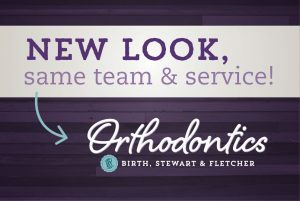 Be on the lookout for a new look here at Birth, Stewart, Fletcher Orthodontics! We will be updating our logo, but have no fear, there have been no changes in the team or office information. We are excited to have a make over reflecting the passion we have for sharing smiles across North Texas!